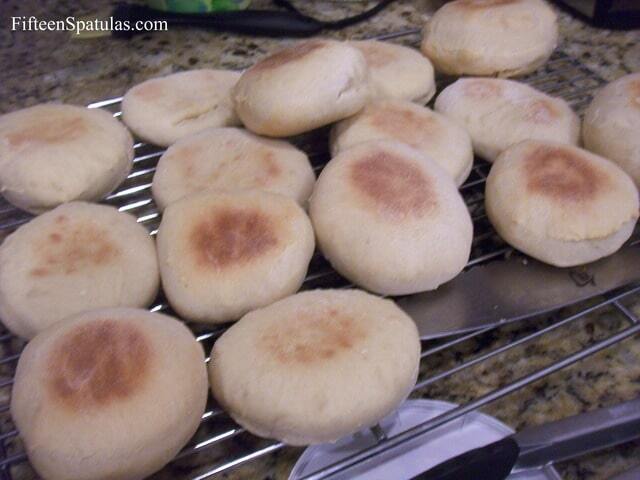 These homemade english muffins are made from a simple dough, and only need one rise! 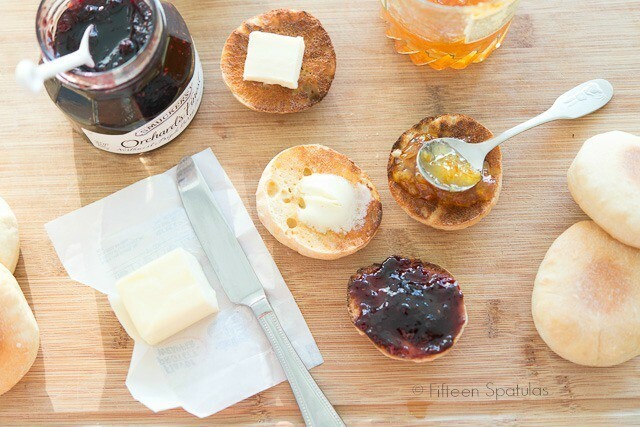 When melted butter pools inside the nooks and crannies of a crunchy, toasted English muffin…oh…that’s heaven to me. English muffins have always been “a thing” for my family. 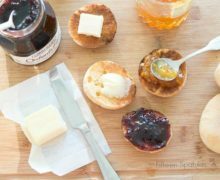 If you walked into the pantry of my childhood home at any time of night or day, you would find English muffins in a variety of flavors. Sourdough, whole wheat, cinnamon raisin, rosemary…always ready to be toasted for breakfast! If you’ve never made English muffins at home before, they are one of the BEST breads to make yourself. 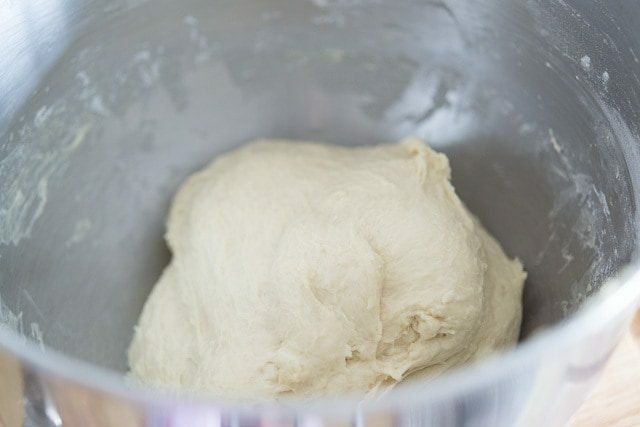 They only need one rise, the dough is really simple, and they don’t have the preservatives that many store-bought English muffins have. Punch down the dough to deflate some of the gas bubbles (otherwise the English muffins will rise too much during baking), then roll it out about 1/2 inch thick. 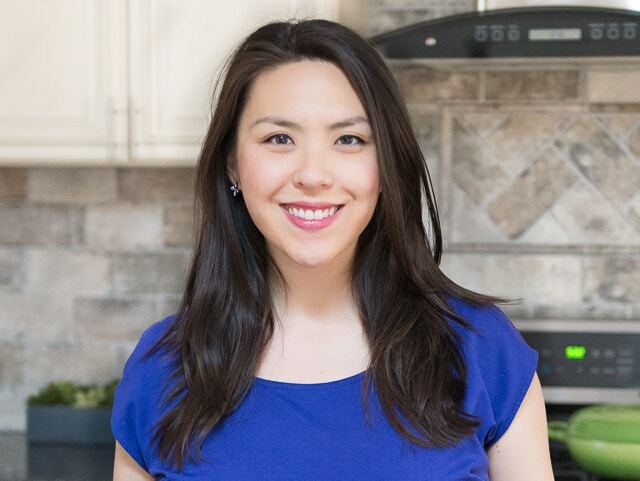 Banana Bread, English Scones, and Cinnamon Raisin Bread are some of other favorite homemade breads to bake in my kitchen. Enjoy! 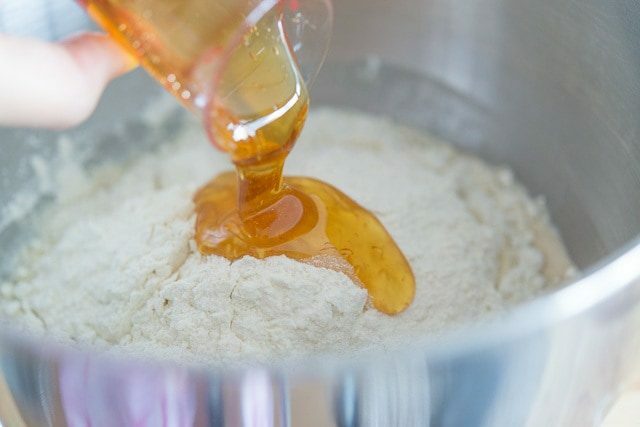 In the bowl of a stand mixer, combine the water, yeast, and sugar. 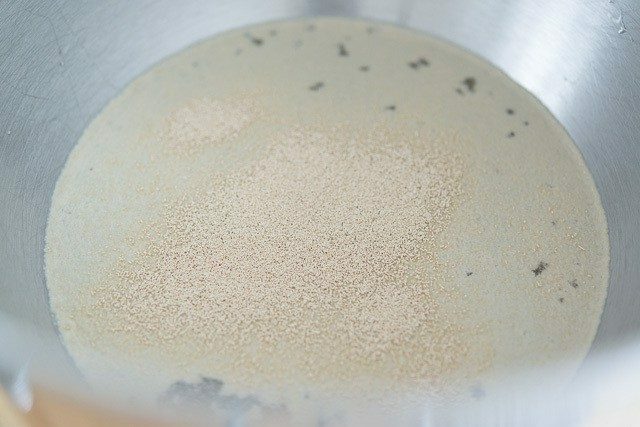 Stir and let sit for 10 minutes until foamy (this means the yeast is active and alive). Add the flour, egg, honey and salt, and use a spatula to roughly combine the dough. 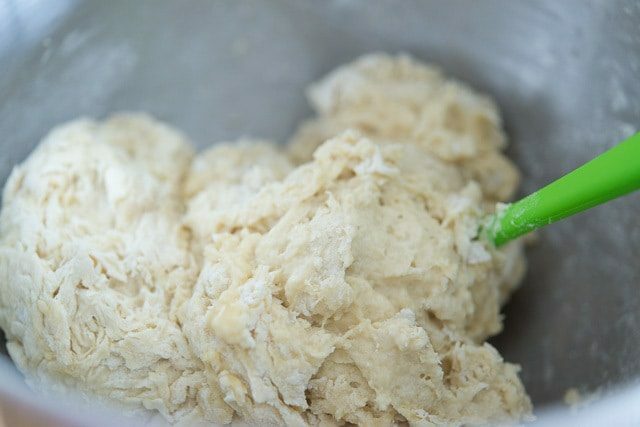 Fit the bowl to the stand mixer and knead the dough for about 10 minutes on medium low speed using the dough hook. Cover the bowl with plastic wrap or a plate and let it double in size, which should take about an hour. Preheat the oven to 400 degrees F, and line two sheet pans with parchment paper or silicone mats. Punch down the dough to deflate some of the gas bubbles (otherwise the English muffins will rise too much during baking). Lightly flour the countertop. 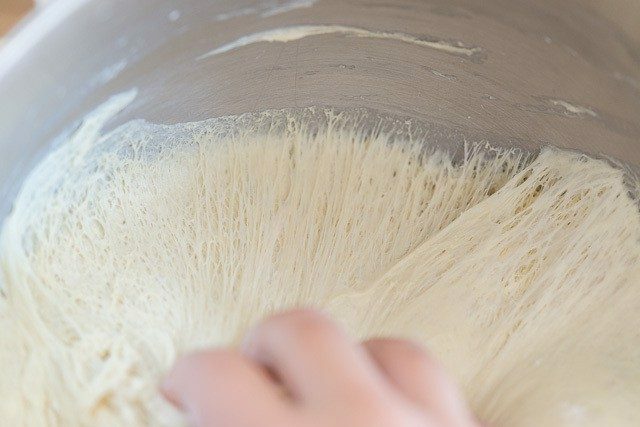 Roll the dough to a half inch thickness. 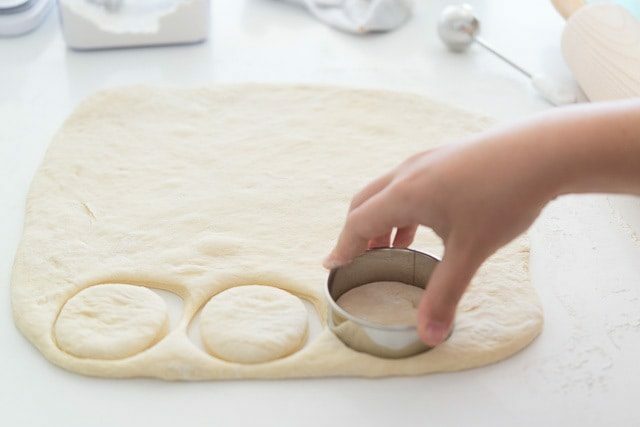 Use a 3″ cutter to cut circles from the dough, pushing directly down all the way to the counter to cut, then twisting to release. Re-roll the dough and cut the scraps, and you should have about 24 English muffin circles. 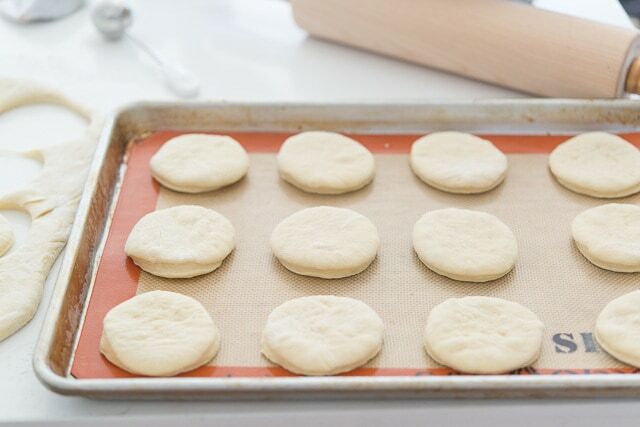 Place the English muffins on the prepared sheet pans, with 12 English muffins per sheet pan. Bake the English muffins for 7 minutes, then flip them over and bake for another 7 minutes. Cool completely on wire racks, then they are ready to be cut in half, toasted, and spread with your favorite butter or jam. Because there are no preservatives, you should store them in the freezer if you’re not consuming them within two days. 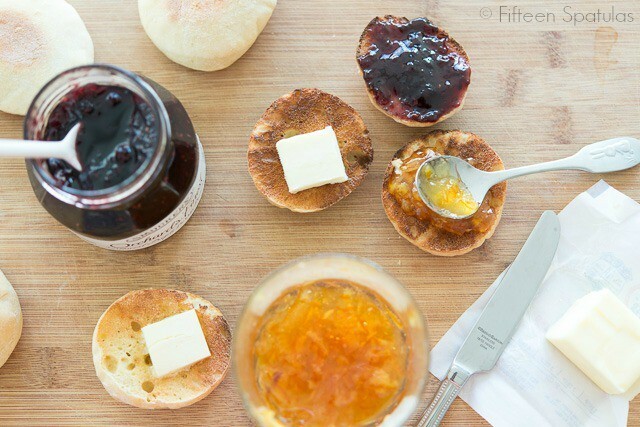 These English muffins have a distinct sweetness to them from the honey. If you want less sweetness, only use 2 tbsp honey. Some English muffin recipes are cooked on a griddle, which you can do with this same dough if you’d like. Cook for the same amount of time (7 minutes on each side) on a 350F griddle. I find it quicker and easier to bake them. Can you use suger instead of honey?? They look delish.